According to 9to5Mac, they have found many clues in the 4.0 SDK betas of video conferencing for the iPhone. Some of the clues include references to moderators, chat rooms, encrypted video conferences and other features which could be used by game developers to add video chat to gaming apps. The conference framework folder shows sounds that iPhone users will hear to alert them of an incoming Video chat request. 9to5Mac listened to the sounds and it is the same as the ones used on the iChat Mac application. 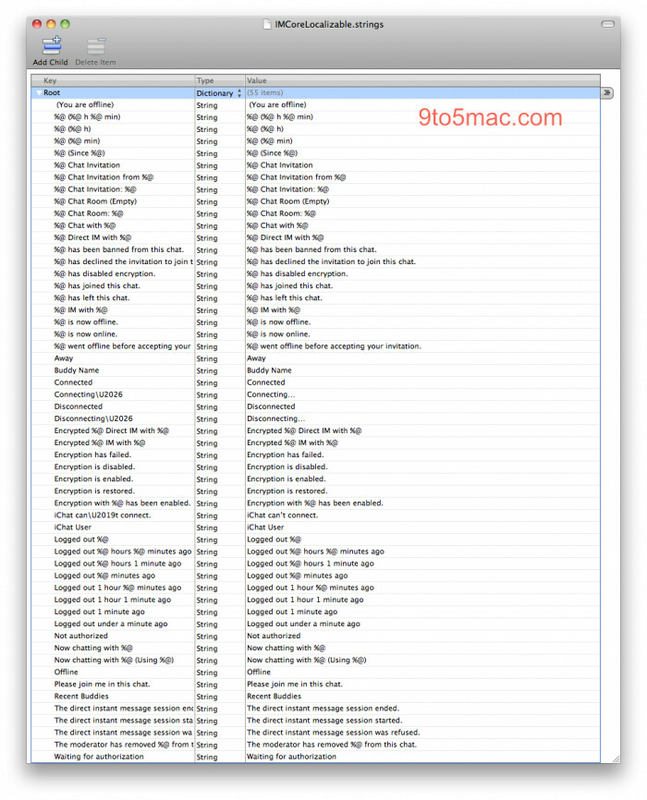 In a list of Video/Chat Room/Moderator/Encryption strings, the Property List displays the default calls that the iChat app will need to make and some of these strings are unique to the iPhone OS and are not seen in iChat for Mac. The unique iPhone strings are seen mostly in Chat Rooms and Moderation. This leads to speculation that the next iPhone might allow you to play online games head to head and have a video/audio chat with your opponent while the game is in progress. The moderation is required to make sure that video on the iPhone doesn't turn into a triple X rated ChatRoulette experience. Other strings discovered show what Video Chat will be able to do on an iPhone such as One-on-One video chats and video conferencing calls to view multiple callers at the same time. To keep away prying eyes from the outside world, Apple is apparently testing Video Chat on their own private intranet on three servers. Unless all of these discoveries are removed from the final version of the software, a long rumored function of the iPhone will finally be available with the new version of the handset. That would be pretty sick if they could pull that off. Many of my buddies use iChat a lot and video conference more using that application compared to one like AIM for Windows for some reason. If I was able to do that with my friends, that would definitely be a plus for me. But that is if there isn't much lag or pixelation. I'm sure they will be hoping people will be connected to wi-fi spots when doing it. Pretty cool. Not like I'd use it much. Then again that's what I thought about text messaging and mobile browsing. This may be one of those things that no one sees themselves using till they get it. hey jenna did u know that the only place in THE USA were they have video calling is puerto rico. for those who dont know puerto rico is us territory so its part of the usa...... i been there only once 3 months ago and they have a company called ''CLARO'' that we do not have in the states .. they also have t-mobile at&t ,sprint nextel like us .. but they dont have verizon instead they have this other company claro which is the only one that offers video calling .... i walked in to the claro store and saw that all of their cellphones have front facing cameras in the front for video calling over there they call it ''videollamada'' and they charge 75 cents the minute .. If that happen to be true VZW wont be able to support that feature, only AT&T and TMO HSPA+ in the US can, sorry fanboys not at this time...!!! WRONG!!!!!!!!!!!!!! verizon is getting this phone call Saygus Vphone and it will let you make video calls. when connected to wi-fi . u can do video calls cdma which verizon uses cannot do voice and data at the same time like gsm or wimax.